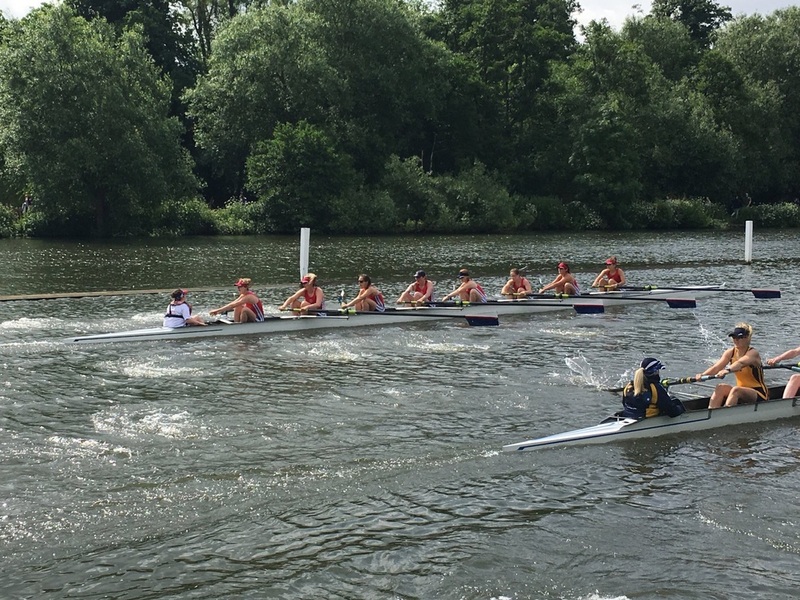 Following a great weekend at Met Regatta which culminated in a win for Georgie and Helen in IM1 2x, and two 2nds for the Club 8 in IM2 both days, we headed into our final two weeks of training before Henley Women’s in great spirits. The Club 8 were getting used the 8+ they had very kindly been lent by LUBC, the Senior 2x making massive improvements each session, and the Senior 4x were all finally getting sessions in as a unit. Our first year of Edgars coaching the Women’s Squad has seen many new dimensions to our training and race preparation, I think our favourite addition was ‘Instagram Sunday’, after a short first session both the 8+ and 2x had a great time taking photos ready for ‘insta’ use the final Sunday before HWR. What a difference a year makes! After a great season of PBs, new faces and plenty of tough miles on the water the Club 8+ came into Henley full of confidence, knowing that this boat was finding speed with every session now we had sorted a boat to race in. Friday dawned with a very early time trial, after a solid, could have been better row, we were all very surprised to qualify for the last 16 in 2nd place behind a very strong TSS crew. Drawing Nottingham RC in the first round later Friday afternoon. After a very strong start we had clear water by the end of the island and were able to relax a little whilst keeping the pressure on. Final results 4Ls to Agecroft, and a first win on the Henley course for over half the boat, setting up a quarter final with Cantabrigian who had beaten us just at Wallingford. Saturday dawned full of nerves and excitement and following a strong warm up we lined up against our Cambridge based rivals knowing that a tough race was coming. Again a great start left us just ahead at the island, settling into a strong rhythm we edged away seat by seat, to win by a length at the finish. The whole crew were delighted- Henley Semi Finalists! And setting up a match up with our local rivals Grosvenor the next day. We headed into the semi-final knowing that Grosvenor had had the edge on us all season but we had closed the gap at met, and had it in us to challenge them. Again (there’s a theme here!) we had a really strong start and at one point had almost half a length up on them, however they fought back to draw level with us at the finish. We all sat on the finish for what felt like forever waiting for a verdict, to be told we had to row back down to the landing stages and a decision would be made after a review. 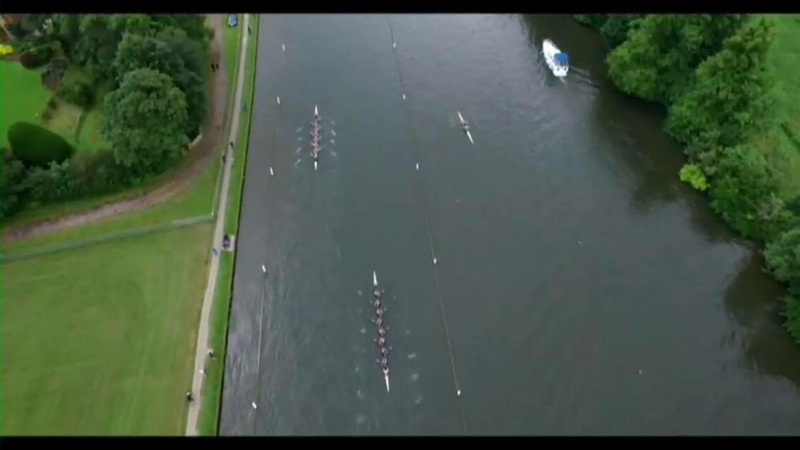 A Dead Heat was declared, meaning a re-row. We had all come off the water delighted at how we had taken the race to Grosvenor and closed the season long gap on them, but determined that we would finish the job this time. 20mins later we were back on the water racing for a 2nd time for a spot in the final, sadly it wasn’t meant to be and we lost out by quarter of a length after a mighty fight. Although sad to have lost out in such a way, we really couldn’t be too disappointed. We exceeded all of our expectations, found speed at the right time, and we showed some true Northern grit, I think we got referred to as nutters by the commentator. 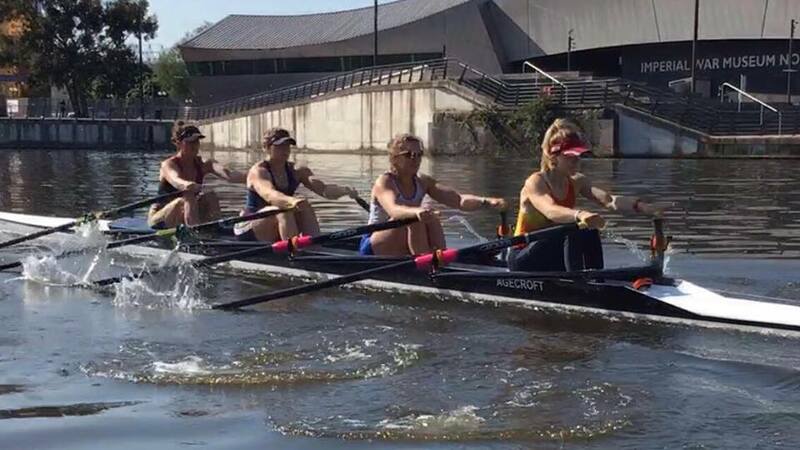 Aside from the racing, it was a pleasure to row with such determined, driven and simply mad girls. Rowing takes up so much of our time in the summer months and all the laughs have made it so worth it. TSS were very deserved winners, and have set the standard for us this coming season. Crew- Maddie Szekely (Cox), Lucy Bailey, Lexie Gardiner, Charlotte Grandfield, Kate Silverthorne, Grace Millar, Meg Andrews, Samara Motasham, Terri Maynard. This boat became affectionately known as the banter double. After WEHORR both Sophie and Georgie embarked on this project as they couldn’t race in club events. As Edgars so delicately put it, their first outing together wasn’t very good! Sophie was a Novice sculler, and Georgie is quite fond of partying so it took a little while for this boat to really come together. They didn’t get to race together till the first day of Met, but after a strong race there they started to think they should have backed the project more. A strong time trial left them ranked 5th, a great result and setting them up with racing another Nottingham crew. After a few wriggles down the course, they settled into their rhythm and pulled out to a lengths lead securing their place in the quarter finals. Saturday afternoon came around, and a match up with UL. A boat that had beaten them at Met two weeks earlier, but they both knew they had stepped on from them. They kept in contact with the UL double off the start, and again a few wriggles meant they took a while to settle into their rhythm. A strong middle section kept them in contact however the experience and probably fitness started to show from the UL boat, who pulled away to win. In true banter double style they then celebrated hard Saturday night turning up to support on the Sunday in last night’s clothes. Both Georgie and Sophie have moved down South now, and they will be well and truly missed in the squad, Sophie’s Laugh and Georgie’s humour especially. 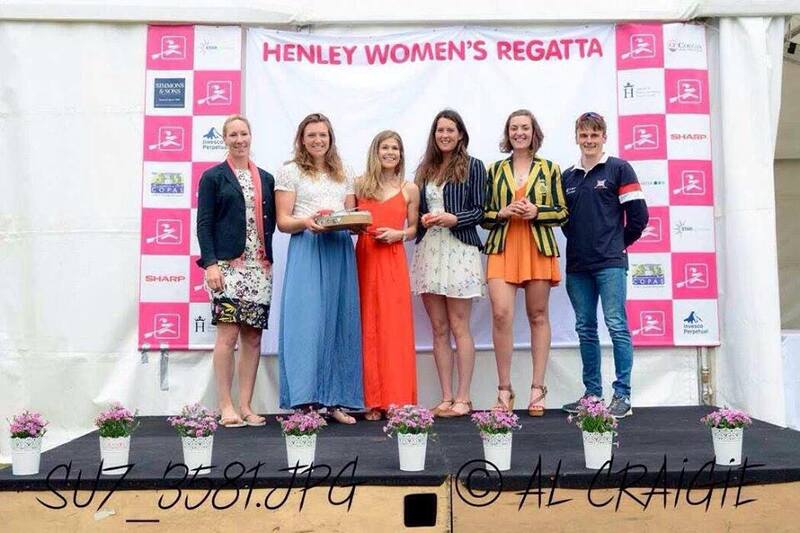 Georgie had one more race in Agecroft colours at HRR qualifiers in a Leander/Henley/Agecroft composite sadly finishing in the worst position, fastest none qualifier. The Third Agecroft Senior boat racing at HWR was a Senior Quad made up of four of our World Class Start Athletes. Ellie, Lucy, Alice and Holly. 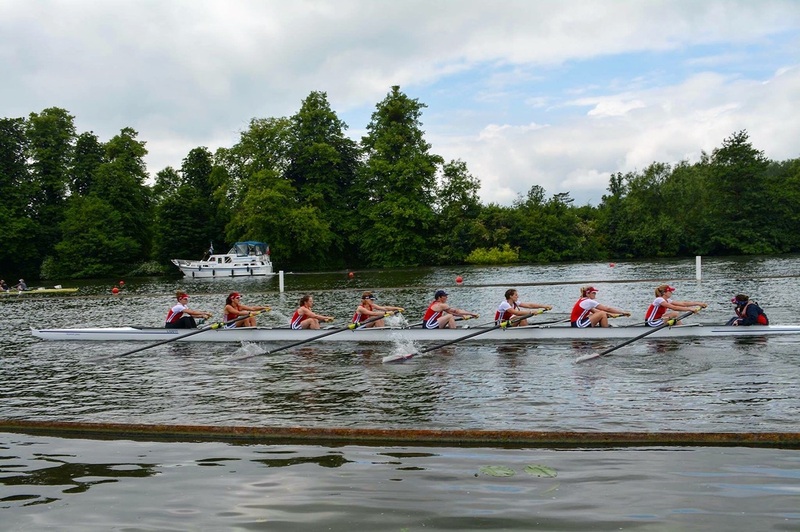 Due to training for U23s or training in singles, the 4 of them only came together a week before Henley Women’s for a few sessions, however there is no doubting the power and ability in the boat so it was hotly tipped to perform well from the off. They had a great time trial winning by 4 seconds from their nearest rival Edinburgh University. A very smooth and controlled few races saw them reach the Semi Final without being challenged and both races being ‘easy’ victories. They Met a TSS crew on the Sunday for a place in the final. All credit to the TSS crew who really took it to them like no other crew had been able to do all weekend, having a lead over them off the island, however the power of the Agecroft Girls began to show and they pulled level and past to a 1 ½ length win and a place in the Final. The final was a great race to watch, racing their nearest challengers from the time trial, Edinburgh University, we all knew it was going to be a tight race. The Agecroft girls established a lead from the start, however at half way whilst passing the enclosures, they still didn’t have a commanding lead, however again, the power began to show through, and they edged away in the latter half of the race to a 2 ½ length victory, and the first full Agecroft Crew Victory in 11 years. Ellie and Lucy then went on to compete at U23s with Ellie finishing 5th in the Lwt 4x. Crew- Ellie Lewis, Lucy Burgess, Alice Baatz, Holly McMullen. 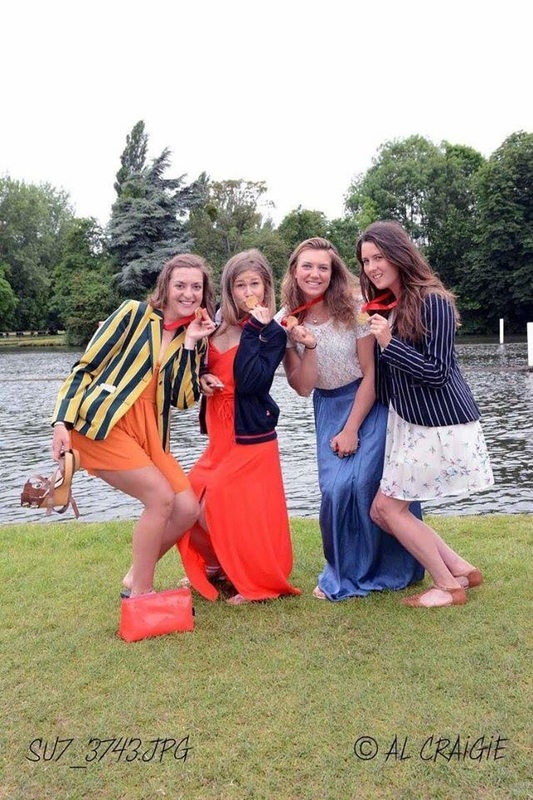 A cracking three days for Agecroft to finish a great year of club rowing for the Women’s Squad- we celebrated in style at HRR. A huge Thank you to Edgars for his tireless work coaching and supporting the Women’s squad, he does it all in his own time as a volunteer and has really turned the squad around in 9 short months- we only have to look back to 2015 and no boat qualifying to realise just what a difference a year makes and we couldn’t have done it without him. Thank you also to Dorota for her continued support and loyalty to us all, we really appreciate it. Finally a HUGE thank you to Liverpool University Boat Club who lent us their 8 to race in for 6 weeks, we really couldn’t have managed without you. (On that note we are still in desperate need of a new Eight- please get in touch if you would like to Sponsor us). It’s been a pleasure being captain over the last year, and wonderful to see the squad grow in numbers as well as our performances across the board. Bring on 2016/17, I can’t wait to see what we can do with more new faces and plenty of motivation to go two steps further.